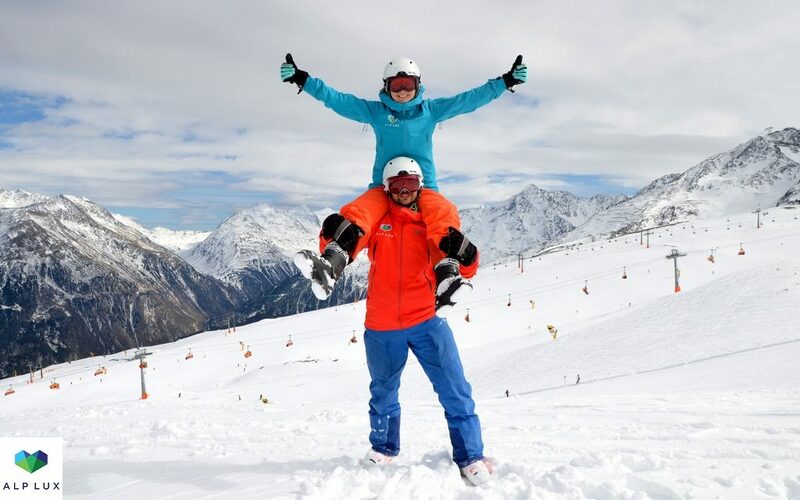 Do you need a good ski or snowboard instructor in Soelden or other Austrian resort? Do you want him to speak well your language and get on with your children? We are happy to help you as we permanently live in Austria and are ski and snowboard instructors ourselves. Due to this fact we know personally the best instructors in Soelden from different ski schools. So even if our time is already reserved, we shall kindly find a suitable instructor for you. If you want to master short carving turns on a steep slope, learn snowboard tricks in the Snow Park or cultivate your child’s love of the mountain skis – we shall select a perfect instructor for everyone. Have you chosen the lessons and are ready to reserve an instructor? And what about the rental and purchase of equipment? Don’t worry, we shall personally and with no extra payment consult you in the Soelden shops and help you to rent suitable mountain skis or a snowboard. Moreover, we shall give you the rental discount of 10 % to make our acquaintance more pleasant. We like to travel as well and have a good grip of what is important for a successful and worry-free rest. Therefore, we always seek to assist our guests in a friendly manner and are happy to see them having their rest with us over and over again. We are very pleased to see many of our clients become our friends at the end! If you still have questions on ordering a ski or snowboard instructor, write to us at instructor@alplux.com or call by phone +43 680 5595 777. We can help you quicker, if you leave your wishes in the order form.